If you or a loved one recently sustained injuries in an accident, the personal injury lawyers and legal staff at EBIL Injury Law understand the trauma you’ve experienced and are here to help. We know that this is a frustrating time for you because of the many questions you have. That is why we want to discuss your case and evaluate the circumstances surrounding your accident. You may be entitled to compensation and we want to ensure that your rights to that are protected. Most importantly, you also have the right to enjoy a happy, normal life. This includes ensuring that you and your family will not be financially devastated by your accident and injuries and that you are able to secure the proper medical attention in the process. We have helped hundreds of clients in the cities of Kanata, Owen Sound, Windsor, and other areas of Ontario Province. But most importantly, we realize that you’re a victim, not just a legal file number. Serving the accident victims in the cities of Kanata, Owen Sound, Windsor, the moment you contact EBIL Injury Law, you will be treated with compassion and respect. Your first consultation is FREE and you will not be charged a fee if we fail to win your case. However, you will receive the assertive, attentive advice you deserve if we take your case. From that point on, we will explain how the process works and how we will pursue your case. In most instances, personal injury cases settle out of court in negotiations. However, we are always prepared to take your case in front of a judge and jury if the insurance companies want to deny your claim. Just keep in mind that the insurance companies are not your friend and only have their best interests in mind – NOT yours! At EBIL Injury Law, we have never been nor will we ever be intimidated by insurance companies or their lawyers. But the bottom line is that we do what we do because we genuinely care about our clients and their well-being. As your personal injury legal team, we’ll go up against the insurance companies and their lawyers. We understand how overwhelming it can be to deal with the insurance companies when you’re trying to recover from your injuries. Have they been asking you to sign any documents? Are they hounding you to give them a statement? Did they offer you a settlement and are urging you to accept? Any response that you give them could seriously threaten your chances of winning you case and getting the compensation you deserve. Don’t accept that settlement, respond to their demands and questions, or sign anything until you speak to a personal injury lawyer first. 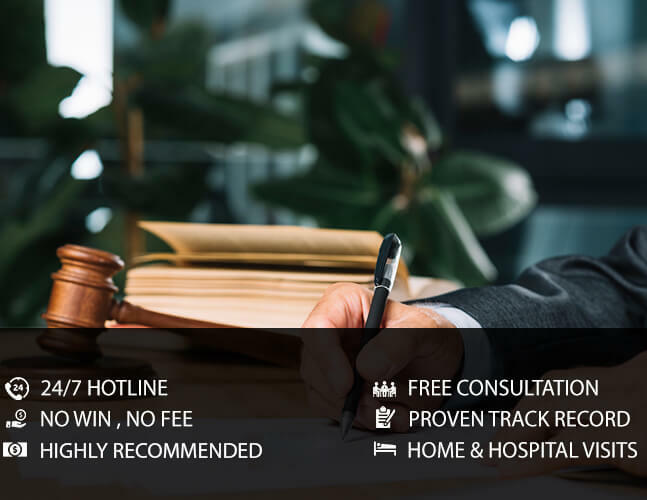 For more information or to schedule a FREE initial consultation in Kanata, Owen Sound, Windsor, call EBIL Injury Law today.